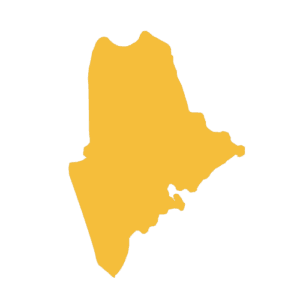 The state of Maine requires plumbing, electrical, and asbestos abatement contractors to be licensed by the state. Although general contractors and specialty contractors are not required to be licensed, they must obtain a business license to operate in the state of Maine. It is suggested, however that all contractors contact the city you will be operating in to determine if a city license or permit is needed. Being licensed in a state you operate does not protect your contracting business from third-party lawsuits so a comprehensive insurance package should be considered prior to operating in the state of Maine. The purpose for a comprehensive commercial insurance package is to eliminate or reduce the company’s financial risk of doing business wherever you operate. This means that if you or an employee injure someone or damage someone’s property, your insurance company can step in and defend you or pay settlement costs and awards by the court. 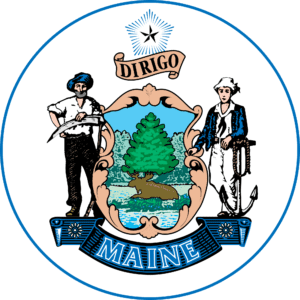 Maine’s Department of Labor requires any business operation with one or more employees to carry workers’ compensation insurance. An independent contractor does not count as an employee, but if a contractor employs a subcontractor, the subcontractors must be covered. Sole proprietors, partners, and LLC members are excluded from coverage but have the option to include themselves under the policy. Most contractors in Maine use several types of vehicles and trailers for their business operations and as such, they need commercial auto insurance because this coverage offers higher limits of liability, no limit on the number of vehicles on a policy, and no limit to the number of drivers to be insured. All contractors use expensive tools and equipment in the course of operating their business. The loss of tools and expensive equipment can be severely detrimental to any contractor and as such, it’s important to transfer the risk of damages or theft to a highly-rated insurance company. In most cases, the cost of dependable tool coverage will even be more affordable that security measures. It’s important to note that this coverage protects your tools and equipment in storage, in transit, and at the job site. Many licensing boards require a surety bond before a license is granted and most large customers and governmental organizations require a bond just to bid on a project. Fairbanks Insurance Brokers can meet your surety needs no matter what the requirement is. We represent multiple national bonding companies and can manage your bonds at a very affordable rate.